Moths can cause serious damage to clothing and natural fibres. Wool and silk are particularly attractive to the common cloth moth (Tineola bisselliella) and it’s often to blame for damaging clothing. The moths prefer dirty or tainted clothing and have a fondness for finer fabrics such as cashmere. 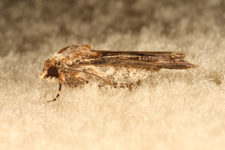 Some moths also damage carpets with the case bearing clothes moth (Tineola pellionella) able to strip carpets all the way to the backing and damage large areas. Larvae are usually found in dark areas avoiding light, they’ll be concealed in a silk case which provides some camouflage against textiles. The mature moths are harmless to clothing and textile and it’s larvae that feed and cause damage. Extermination of moths can be very difficult and we always prescribe multiple treatments. Carpet Beetles are a common pest for UK householders. The larvae, often called “woolly bears”, can cause damage to both carpets and other textiles. Mature beetles are approximately 3-4mm in length and the hairs on the larvae’s can cause skin irritation. Rokill can carry out detailed treatments to eradicate these troublesome pests. Dry cleaning, hot washes and freezing can all be used to kill insects that are in clothing. 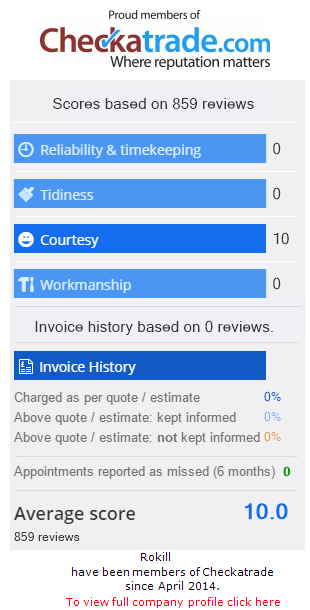 We can provide a free, no obligation quotation; please contact our friendly and experienced service control team on 0800 783 0011, or email us and we will be happy to help you with any enquiry you may have. Rokill is a professional company, established over 30 years and holds the Queen’s Royal Warrant for Pest Control. We operate one of the highest supervisor to technician ratios in the industry to ensure our standards are maintained in accordance with our total quality commitment. © Rokill Ltd. 2019 All Rights Reserved.